Natrang, the ultimate name in the field of culture, a mission which brought Jammu in National/International limelight is completing 33 eventful happening years today. Founded by Padamshree Balwant Thakur as a student of University of Jammu with the help of his fellow students on 15th of May, 1983 Natrang made its humble beginning with the staging of two classic plays ‘Neeli Jheel’ and ‘Nahen Kandhey Nanhen Pair’ at Abhinav Theatre, Jammu. 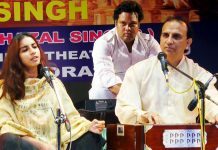 The actors who featured in the first presentation of Natrang under the direction of Balwant Thakur included Vijay Attri, Aasha Arora, Arvind Anand, Mohan Singh, Prabodh Jamwal and Arun Sharma. 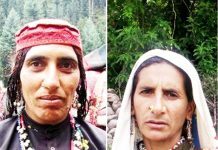 Following this the joining of Suresh Sharma, Jugal Kaul, Nariendr Sachhar, Sunit Kumar, Namrata Suri and Ravi Shankar Pandita further strengthened this movement. This is perhaps the first institution of Jammu which laid a strong foundation of professional theatre in the city. In it’s very first year, the group established its supremacy over others and won the State Academy award for best production of the year 1983 and continued the successive winning spree till 1986 when it decided being professional not to be a part of this amateur competition. Credited for spreading the wings of Jammu theatre to other parts of India, within one year, the outstanding productions of Natrang started receiving invitations from other parts of the country and by 1985 the group had already won the best production, best director and best actor awards in majority of All-India Cultural Competitions. Balwant Thakur is the man behind this biggest cultural movement of the region who in devotion, dedicated his entire life in shaping this institution and brought this to these ultimate heights. He never took any governmental/non-governmental assignment outside the state of J&K just for the reason as he always wanted to be available 24X7 for this mission. Accredited by UNESCO as director, Balwant Thakur is the highest Indian honour holder in performing arts who has also been decorated with Padamshree. Sanskriti Award winner, which is given to one theatre director in 12 years has also to his credit the prestigious Maharaja Gulab Singh Memorial Award in addition to Rabindra Nath Tagore Award, World Theatre Day honour, Ford Foundation USA fellowship, Abhinayak Samman, Gurushree Samman, Duggar Rattan and BIG Duggar Award. Travelled extensively, Balwant Thakur has had his presentations in over 80 countries of the world. In these last 33 glorious years of creatively exciting happenings, Natrang through the selfless efforts of thousands of Natrang missionaries brought the J&K theatre to world spotlight and its highly acclaimed plays vibrated the global theatre scene and proudly travelled the whole length and breadth of the country in addition to crossing the boundaries of India and won appreciation in Russia, Germany, U.K., Singapore, Turkey, Hungary, Poland, and UAE and thus established a globally acknowledged brand called ‘NATRANG’. This organization has been highly instrumental in giving a new cultural and intellectual identity to this distant part of the country and revolutionized the cultural life of the place through it’s out of the world cultural and intellectual initiatives. Jammu’s cultural history had never witnessed big canvas mega cultural extravaganzas like ‘Rangla Jammu’ ‘Guldasta’, ‘Gulab Gathaa’, ‘Hum Hain Naa’, ‘Celebrating Diversity’ ‘Choona Hai Aasmaan’, ‘Suno Tagore Di’ and ‘Udaan’ featuring 500 to 700 hundred artists on stage at one time. 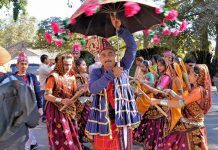 Such kind of mega shows rooted in the cultural soil of Jammu, highly scholarly researched, historically authentic and culturally pure not only educated the general masses about the rich heritage of this region but also brought a sense of pride in them for their immense cultural wealth. In these years the plays which over shadowed the theatre scene of the country included ‘Bawa Jitto’ ‘Ghumayee’ ‘Mahabhoj’ ‘Aap Hamare Hain Kaun’ ‘Chauraha’ ‘Poster’ ‘Mere Hisse Ki Dhoop Kahan Hai’ ‘Sainyan Bhaye Kotwal’ ‘Raktbeej’ ‘Comedy of Terrors’ ‘Suno Eh Kahani’ ‘Kanjoos’ ‘Holi’ ‘Mind Games’ ‘Richard III’ ‘Great Expectations’ and ‘Kaun Nachaye Naach’. Natrang produced over one thousand actors and many have made their mark in films and TV world as well. 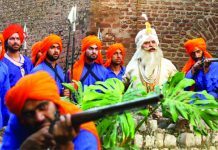 Prominent among them include Bhanu Goswami , Anjali Abrol, Sunil Palwal, Harish Khanna, Neeelu Dogra, Tajasvi Sharma, Ekta Kaul, Mansi Sharma, Aeishesh Nijhawan, Vikram Sharma, Mridul Suri, Nariender Sachchar, Arvind Anand, Amitabh Raina, Mohit Sharma, Pankush Verma and Ashok Verma. In addition to having Seven pass-outs of National School of Drama and Eight Masters in Dramatics, Natrang proudly sent four for International studies which included Harish Khanna(London School of Acting and Speech), Aeishesh Nijhawan (London International School of performing Arts) Aarushi Thakur ( University of Leister, UK & Royal Academy of Dramatic Arts, London) and Vikram Sharma (Lee Strasberg Theatre and Film Institute, Manhattan, New York USA). Out of the 5935 shows by Natrang in last thirty three years, the credit of maximum number of participation is shared by Neeraj Kant, Anil Tickoo, Sanjeev Gupta, Vikrant Sharma, Pankaj Sharma, Sumeet Sharma, Juhi Singh, Sat Salarbi, Suresh Kumar, Vijay Bhat, , Pawan Verma, Dimple Sharma, Mohit Sharma, Rohit Verma, Mohd. Yaseen, Rahul Singh, Pankush Verma, Gaurav Jamwal, Subash Jamwal and Sajra Qadir and in these years over thirty actors of Natrang brought National/ International honors and acclaims. From National scholars to International fellowships these recognitions gave a distinct identity and pride to Jammu theatre. Prominent honors included International fellowships to Balwant Thakur (Ford Foundation USA) Harish Khanna (British Council, UK) Ashish Nijhawan (Inlaks, USA), National Awards to Balwant Thakur (Padamshree, Sangeet Natak Akademi Award, Sanskriti Award, National Senior Fellowship, Gurushree Samaan, Abhinayak Samaan, World Theatre day Honor, HRD Honour) Sanjeev Gupta (Sangeet Natak Akademi’s Yuva Bismalla Khan Award) Sumeet Sharma (Sangeet Natak Akademi’s Yuva Bismalla Khan Award) Ashish Nijhawan (Sangeet Natak Akademi’s Yuva Bismalla Khan Award) Deepika B. Thakur (National Fellowship) Anil Tickoo (National Fellowship) Neeraj Kant (National Fellowship) Mohd Yaseen, Rahul Singh, Sajra Qadir, Gopi Sharma, Kritika Bhau, Rythm Misher, Asma Gul (National Scholarships). Amongst others, Suraj Singh, (Music) Suraj Ganjoo (Lights) Ankush Lakhnotra (Lights) Chander Shekhar (Design) contributed immensely to the growth of Natrang. With 350 new plays/new musicals/mega events, Natrang emerged as one of the important cultural centers of the country which made a record participation in more than 195 National theatre/cultural festivals in last 33 years. Currently Natrang runs ten different departments which include ‘ Natrang Theatre Repertory Company’, ‘Natrang Children Wing’, ‘Natrang Rural Theatre’ ‘Natrang Music and Dance Repertory, ‘Natrang Mega Events Wing’ ‘Natrang Sunday Theatre’ ‘ Natrang Theatre Laboratory’ ‘Natrang Documentation and Resource Centre’ ‘Natrang Extension Programmes Wing’ and ‘Natrang Scholarship and training programmes’. 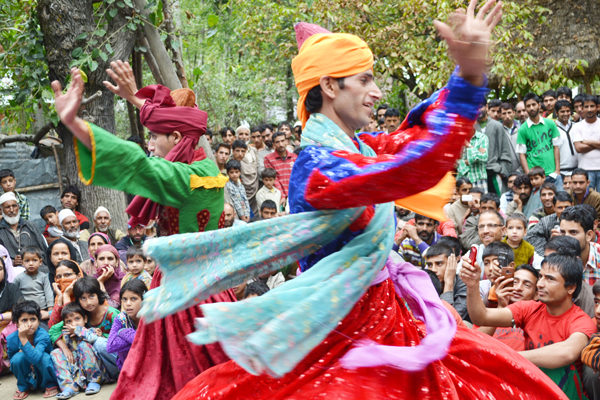 Through it’s varied programmes and activities, Natrang has established its presence all over the state of J&K and currently is the only Non-governmental cultural initiative which has performed and presented its shows all-over the region including in Leh, Kargil, Kashmir, Doda, Kisthwar, Ramban, Rajouri and Poonch regions. Natrang has also emerged as an important promoter of peace in a region known for violence and cross cultural conflict. It organises regular workshops and uses theatre as a healing and transformative tool for change in the region. Though Natrang has many rarest accomplishments to it’s credit but few of it’s initiatives have created a history in the theatre world. 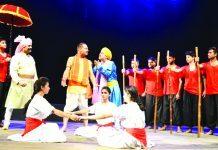 Natrang’s Dogri play Bawa Jitto is the longest living contemporary play in India which is being played regularly since the year 1986. 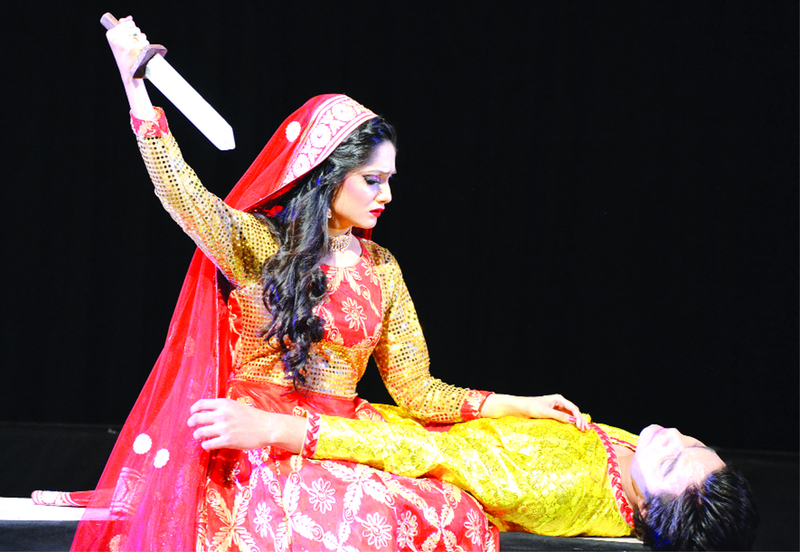 Sunday Theatre series is the only weekly regular theatre show of India which is being held since the year 2004 without break and has crossed over record 600 shows. 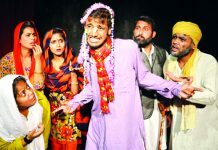 Natrang’s Children play ‘Aap Hamaare Hain Kaun’ is again the longest living theatre play of the country which is being played regularly since 1994 and has the credit of having travelled the whole length and breadth of the country. Natrang has a dream for Jammu and a mission to establish this place as an International destination of theatre. 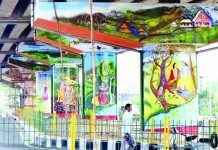 By another few years we see Natrang as one of the most creative happening place in India. An out of world destination of cultural enthusiasts. A place which will not only have the required infrastructure but also the capacity and the skilled human resource to host National/International events. A dream world for children – a space for their creative outlet and over all artistic growth. The Institution is all set to create an International level campus in Jammu housing an auditorium, two Studio Theatres, theatre residences, resource centre and a an exclusive centre for children. Natrang since its inception has been dreaming of creating a space- a multi arts complex which caters to all forms of artistic expressions with prime focus to theatre. With the belief that happening of diverse range of artistic activities at one place carries a larger impact on each other, it helps in qualitative growth and also fosters a harmonious creative environment to develop, explore, and engage the community of artists, performers and literatures. Natrang is currently devoted to the realization of its ultimate dream. Natrang’s Multi-Arts Complex is going to be the first of it’s kind professionally managed cultural space where Arts, performing arts, traditional, contemporary art practices, literary discourses, exhibitions, workshops, training courses, regular courses are going to happen at one place. Natrang has set a target to offer annual calendar of the events of this multi arts complex where all arts will happen at one place. Morning 11 to evening 11, this centre will offer diverse range of public attractions. Under one roof one will get to see world class theatre, musicals, dances, art shows, permanent displays portraying the rich cultural legacy of the state. This centre will have exclusive programmes for children both in terms of performances and their participation opportunities. 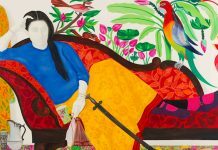 With three performance spaces, two studios, galleries, food court, artists residency, Natrang will make this an out of the world artistic attraction which is bound to become an ultimate tourist attraction.